Motorcross style helmets are leading the way in motorcycling. The technology in that side of bikes is ahead of the curve, trying new ideas and learning quickly. It started with concussion analysis and discussion about reducing rotational energy. A new US Brand, 6D, changed the game with their incredible helmet design. 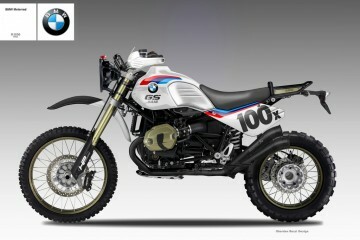 Now Klim have come to the table with something all together new, exciting and bold. Meet the KLIM F5 Koroyd. 6D really changed the motocross world’s outlook on what a helmet should be. As knowledge of what repeated concussions could do to a person emerged from the NFL, severe concussions were also common in professional motocross and bicycle riding. It became apparent that the rotational acceleration caused in a motorcycle crash was significantly increasing the occurrence of Traumatic Brain Injury (Concussion). 6D took it upon them selves to reinvent the helmet, creating a 2 layer Expanded Polystyrene(EPS) foam liner that could rotate independently. The idea was to severely reduce that rotational energy, and thus concussion. It worked. the helmet has done fantastically well and more importantly, it has forced motorcycle helmets in a new direction. Bell Helmets quickly followed suit. They came to market not long after with the Moto 9 Carbon Flex, featuring a triple density EPS to reduce linear energy transfer and a clever, rotating “Flex” liner to reduce rotational energy. Since that helmet, Swedish company MIPS has started to become common place in the market. 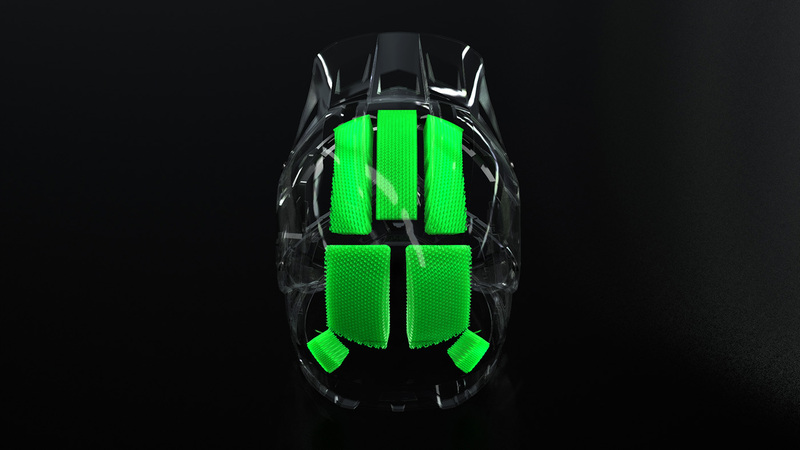 It’s essentially a little plastic frame that sits between your helmet foam and the EPS layer. 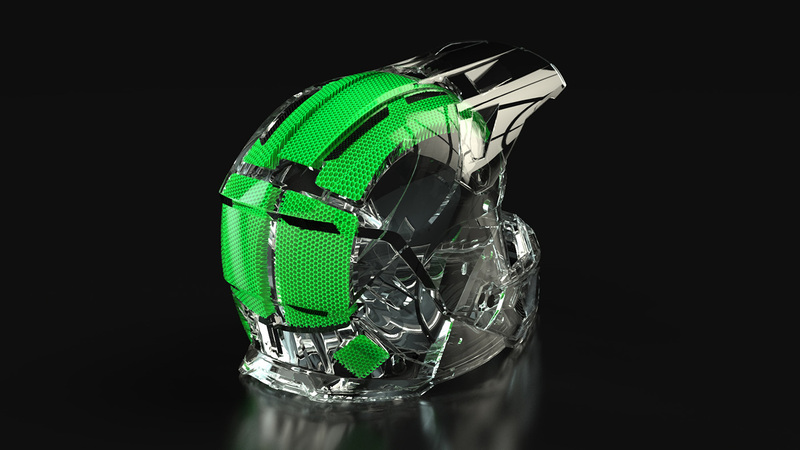 The idea is that it lets your head rotate independently of the helmet. It’s cheap, easy to fit to a huge range of helmets and a great idea. You’ll find it in all manner of action sports helmets and in the KLIM K5 Koroyd. But KLIM’s new helmet hasn’t just addressed the issue of rotational energy reduction. They’ve thrown the rule book on helmet design in the bin. You see, up until now, EPS has been the best material we had. The gold standard has been Arai’s patented multi density EPS or Bell’s triple layer system. It’s good but technology has changed a lot. That’s where Koroyd comes into play. That funky looking green stuff is an entirely new invention that’s designed to have phenomenal energy absorption properties. This little excerpt from the K5 press release explains it best. Koroyd has shown to provide a significant reduction in energy transfer during linear impact testing over EPS liners and claim that there is a direct relationship between linear and rotational energy reduction. Now we just need ADV style helmets to jump on the bandwagon. You can view all Koroyd’s own studies and data here. If you’re feeling especially geeky, this paper on Angular Impact Mitigation to reduce Risk of Traumatic Brain Injury may be of interest. Elevating the performance of the KLIM F5 helmet—the most intelligently ventilated and impressive lightweight motorsports – engineered helmet in the world — isn’t going to be easy. But thanks to a custom integration with Koroyd energy absorption technology and MIPS’ Rotational force mitigation, KLIM has managed to do just that. In typical KLIM fashion, they are taking the technological lead and are the first to incorporate Koroyd technology in a motorsports helmet. Koroyd is installed in the inner liner, replacing EPS foam at the key impact areas. The unique structure of Koroyd’s extruded welded tubes creates an unparalleled and consistent engineered core. This core excels at reducing peak G-force transmission while remaining ultra-light and porous. Koroyd has extremely consistent energy absorption properties—compressing upon impact in a controlled, decelerating process that significantly disperses final impact forces. MIPS technology is all about rotation. By virtue of the MIPS Low Friction Layer engineered into the KLIM F5, MIPS technology absorbs and redirects rotational energies and transferrable forces from angled impacts, effectively reducing rotational forces’ effects in the event of an angled impact. 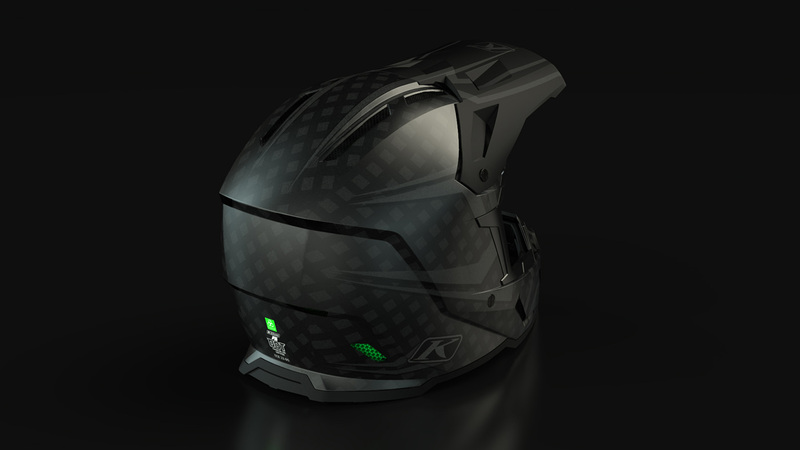 Featuring a full KLIM® KARBON Fiber shell, the F5 is one of the lightest helmets in the world. Eliminating bulk from on top of your head makes you more comfortable and gives you more energy. More energy at the end of the day means more riding. More riding makes everyone happy.